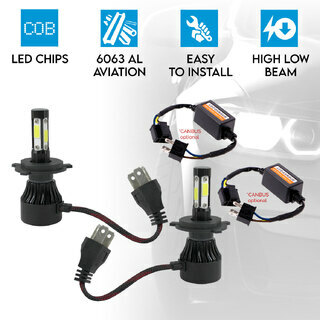 LED Car Headlights, Oh So Bright! Ensuring you’re safe and seen on the roads is probably one of the most important things you can do. You can’t control the cars around, but at the very least you can always ensure the visibility of your car. If you want efficient lighting for your car, opt for our range of LED headlights. Guaranteed to work efficiently and to alight very brightly, they are ideal for night driving you can be sure for a safer travel to your destination, not to mention lesser fatigue in the eyes. Each pair features a high lumen output offering the driver bright lighting. Each headlight in the kit utilises the H7 or H4 plug that has a heatsink to avoid any overheating of the light bulbs. When you choose from the LED car headlight range, you can be sure of a longer lasting life as they last up to 30,000 hours, and others have up to 50,000 hours lifespan. With every purchase from the Elinz online store, we guarantee value for money and high efficacy, making your drives that little bit safer. 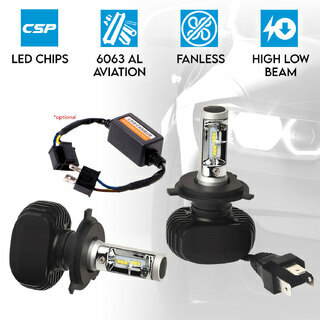 Simply browse our range, find the headlight solution for your car and enjoy the lighting sets optimum functions. 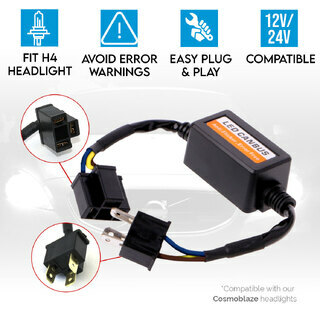 Why buy your car headlights from Elinz? Because we simply want to provide our valued clients with outstanding high-quality products, fantastically low prices and exceptional customer service and support. We also offer a 12-month warranty on all products from our store. As we’re based in Melbourne, we can have your purchase shipped promptly, meaning your new car tech accessories will be delivered on time, no matter where you’re located in Australia. 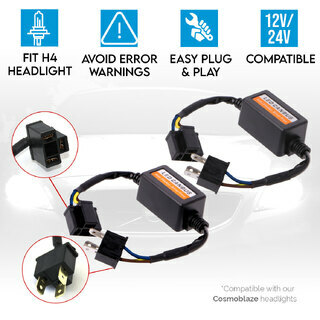 We don’t just stock a great LED car headlight range either, but our offered products include LED light bars, tail lights, reversing camera kits, car DVD lights, battery chargers and so much more. We’re here to make your trips on the road a more enjoyable experience for you and your passengers. Our customer support team are here to answer any and all questions you might have regarding our product range. For any technical enquiries, please email sales@elinz.com.au or give us a call on 1300 881 773.